Jay Meadows is co-owner, chief executive officer (CEO) and president of Ft. Worth, Texas-based Rapid Reporting Verification Company. He founded the company in 1998 with executive vice president and chief operations officer (COO) Ray Petta and oversees all aspects, including product development, operations, sales and support. Meadows’ focus is the delivery of comprehensive and efficient verification products that help the mortgage industry combat fraud. Meadows is recognized within the mortgage industry as a fraud expert and, together with the Internal Revenue Service (IRS), has spearheaded many of the efficiencies enjoyed by the mortgage industry. Through his lobbying efforts, Meadows helped transform an IRS process, which shortened the turnaround time on tax transcripts for income verification purposes from 14 to 21 days to 24 to 48 hours. By reducing the turnaround time, mortgage companies were able to use income verification as a pre-funding tool. Under Meadows’ direction, Rapid Reporting became the first private company in the United States to receive direct access to identity verification based on the Social Security Administration (SSA) database. After three years of lobbying in Washington, D.C., for improved identity verification methods, Meadows launched DirectChek. DirectChek provides a match/no match of an authorized name and Social Security number to the SSA database. The merging of commonly used harvested data with the validity of the virgin data of the SSN database creates the most definitive identity product on the market. Prior to founding Rapid Reporting, Meadows was a successful broker in the securities industry for 11 years. He was vice president of Rauscher Pierce Refsnes, Inc., now known as Dain Rauscher Incorporated, and served on the company’s Broker Advisory Committee. Dan Rauscher is the nation’s eighth largest full-service securities firm and is a member of the New York Stock Exchange. Meadows also worked for First Dallas Securities, a company founded in 1989 whose focus is primarily on common stocks. Meadows is a member of the Mortgage Bankers Association of America, the MBAA Fraud and Ethics Subcommittee, National Home Equity Mortgage Association (NHEMA) and the Colorado Mortgage Lenders Association. He is a frequent guest speaker at many mortgage fraud conferences and committee meetings. 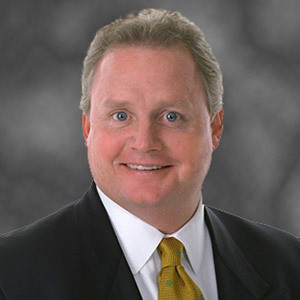 Meadows earned a Bachelor’s degree in business administration from Texas Christian University in Ft. Worth, Texas. As a former member of the Texas Christian University baseball team, he is an active member of the TCU Letterman’s Association. Meadows also founded the Ft. Worth Cats baseball program for high school students. He served as a member of the Fellowship of Christian Athletes Speakers Bureau. In 2003, Meadows received the National Leadership Award from the National Republican Congressional Committee.